Our products are constructed with premium components on the most advanced manufacturing equipment. We have put together a few comparison images which show some of the shortcuts the competition uses. Bulb alignment is critical and our H7 construction method allows more precise alignment than the competitors bulb. Capsule glass clarity is also an often overlooked quality concern. Sharper capsule with less surface flaws translates into a more accurate light pattern and more lumens hitting the road surface. This same image also shows filament size and hardware differences between the two. The Höen bulb offering superior filament structure and tighter wind. Bulb height is also important and adhering to industry standards is paramount. 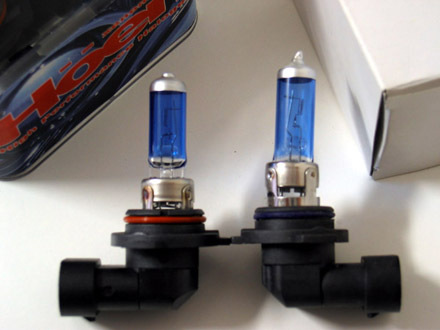 With tight tolerances in fog lamps (E46 M3 for example) the 9006 bulb on the right wont fit correctly. Capsule alignment is also completely off on the competitors bulb.